The A.Typical RPG is a game about weird college life and a kid's pursuit for destiny. Or something. Featuring tough conversations, turn based football, exams and more! You can buy the game via Desura, and follow our site for more updates! Final 20 hours of the Unrest Kickstarter! Our Kickstarter for Unrest is in the final hours. We've received a great amount of support, but just a little more will help us make the game a lot better. Please consider pledging if you liked Pyrodactyl's work, and tell your friends! Unrest is a role playing game set in ancient India, focused on the lives of ordinary men and women struggling to live their lives in a city on the brink of mass violence. You can view a lot more information about the game at our Kickstarter page, your support would mean a lot to us! Brawl or Bluff your way through the mini demo of Will Fight for Food! FAQ time! We answer some questions people have been asking of us. And we invite you to ask more! 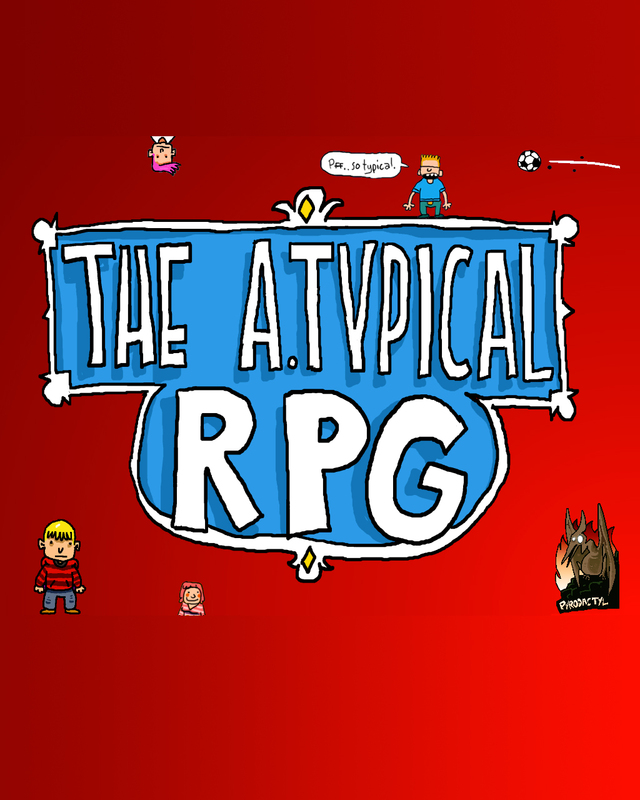 The A.Typical RPG is released! It's done! It's finally released! And there are lots of genuinely legitimate reasons you should buy it! The A.Typical RPG Demo Saga Released! New demo released, new release date announced, and this time the demo is for Linux as well! Aaand we have sweet screenshots as well! The mini demo of Will Fight for Food comes to Linux! Will Fight for Food Mini Demo! The complete demo saga of the A.Typical RPG is here! A more refined preview of the A.Typical RPG (on Linux). The complete demo saga of the A.Typical RPG is here! A more refined preview of the A.Typical RPG. The A.Typical RPG Demo Saga: The Demo Appears! Will there ever be a 64bit port? The game does not need 32-Bit X-Windows. If you simply install the i386 compat libraries you will have everything you need to run it. I run it here on Ubuntu 11.04 AMD64 without any issues at all. Hmm, at this stage I don't think there's any benefit to a 64 bit executable - game's fairly light on requirements anyway. Well, I don't want to have to install 32bit X11 and SDL and all that, so is it really not possible to have a 64bit executable? You won't have to install 32-Bit SDL that is included with the game when you download it from Desura. So you don't need to worry about that part. It doesn't need x to build, but can you play without it? Even though there is no demo, I decided it was only 3 bucks, so I went ahead and bought the Linux version. I'll let you guys know how it is. Alright, this game definitely needs a demo. Using intel integrated graphics on my laptop, this game is incredibly laggy (including on the menu screen, where there is incredibly noticeable mouse lag), and it's even worse in-game. Linux Mint 11 64-bit. Hmm, the game only uses CPU, it isn't graphics accelerated. Can you tell me your PC specs please? Surprising, it should run absolutely fine on your computer. It's magnitudes more powerful than the laptop I made the game on. Can you try running the windows executable in Wine? That will help me in determining whether it's a problem in the game code or a platform specific problem.